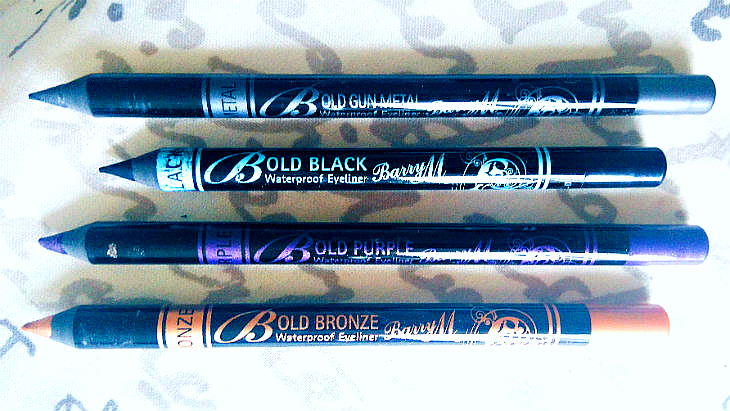 Barry M Bold Waterproof Eyeliners. They cost a mere £3.99 each! I don’t know about you, but there’s something about winter that just makes me want to use more of a heavy hand when it comes to make-up. I don’t mean that I start to cake it all on. It’s more that putting a bit more effort in when it comes to make-up makes me feel happier when the weather outside is cold and miserable. There’s something about a polished base, bold brows, defined eyes, and dark lips that can make an ordinary day or night seem that bit more special. I started with baby steps and tried Bold Gun Metal first. It’s a gorgeous metallic grey that looks wonderful on a night out, and makes creating a smoky eye so easy: you just draw round your lashline and smudge. Of course, it wouldn’t be winter without berry and gold, so I also bought Bold Purple and Bold Bronze. Bold Bronze really brings out the colour in blue eyes, but I have to say I prefer smudging it all over the lid like a cream shadow. 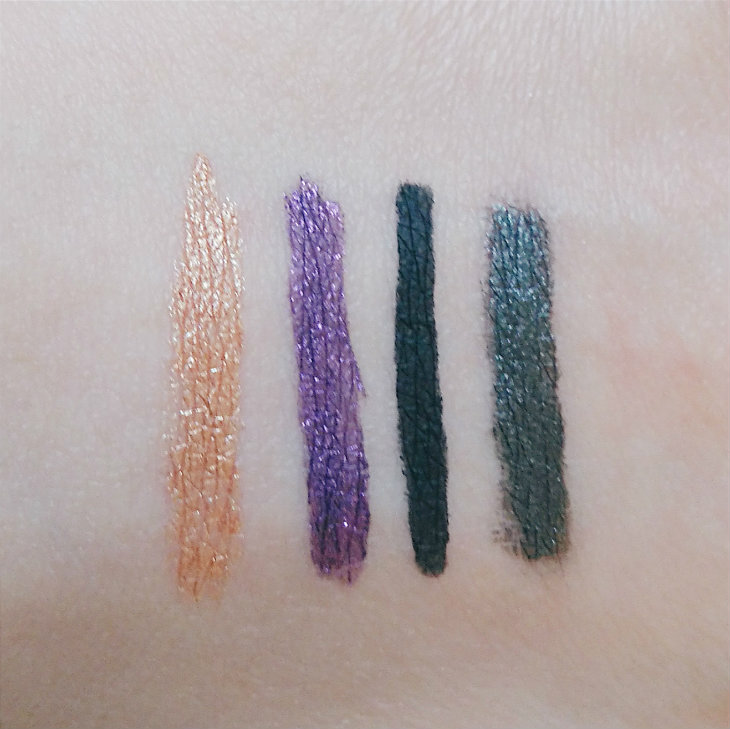 Bold Purple, on the other hand, looks amazing when used for winged liner, and I also reckon this shade would make green eyes pop. With all the liners, it’s important to work quickly before they set because once they do these babies don’t budge. Unless, of course, you forget you’ve done your make-up and continually rub your eyes when you’re tired, like I do. Such a bad habit! Do you like using colour on your eyes or are you more of a neutrals person? Which of these shades is your favourite? Let me know in the comments.